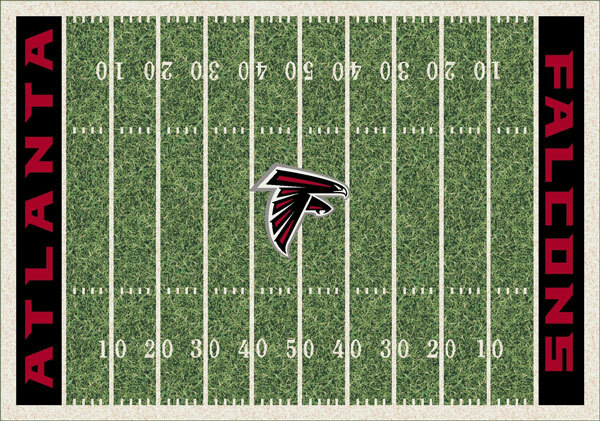 Show your team spirit with these gridiron area rugs emblazoned with your favorite teams logo. Constructed of of 100% Stainmaster® nylon for durability and stain and color fade resistance. The rug is printed with our high definition Millitron® technology for quality colors and designs that look great in any room. The price shown is for the 3' 10" x 5' 4" area rug. Use the drop down menu to select the size you want. Please allow 7-10 business days to ship plus a couple days transit depending upon your location.